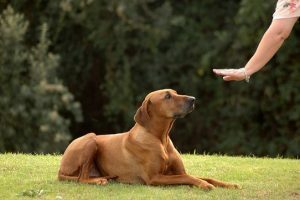 San Diego Dog Training | Dog Trainer in San Diego: The Dog Man Can. 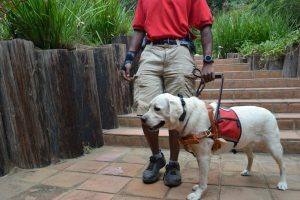 Are you searching for the best Service Dog Training provider in La Jolla, CA? 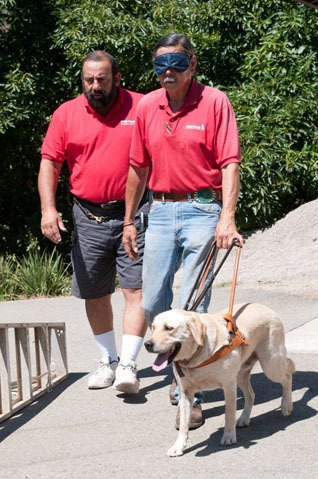 With over 40 years experience Pro-Train certified dog trainers will provide the absolute highest quality service dog training lessons you’ll find anywhere in La Jolla and San Diego, CA! What Areas Do We Service In San Diego/La Jolla? 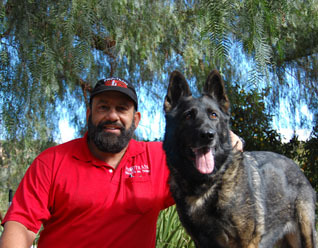 We’re proud to be North County ‘s premier dog training school and service all areas in the city of La Jolla including: Alpine, Bonita, Bonsall, Borrego Springs, Bostonia, Boulevard, Camp Pendleton, Campo, Cardiff, Cardiff by the Sea, Carlsbad, North County, Coronado, Crest, Del Mar, Descanso, Dulzura, North County, Rancho Bernardo, San Diego, Fallbrook, Guatay, Imperial Beach, Jacumba, Jamul, Julian, San Diego, La Mesa, Lakeside, Lemon Grove, Leucadia, Lincoln Acres, Mount Laguna, National City, Nestor, Ocean Beach, North County, Olivenhain, Pacific Beach, Pala, Palomar Mountain, Paradise Hills, Pauma Valley, Pine Valley, Potrero, Poway, Rainbow, Ramona, Ranchita, Rancho Bernardo, Rancho Santa FE, North County (County Seat), North County State University, San Luis Rey, Rancho Bernardo, San Ysidro, Santa Ysabel, Santee, Solana Beach, Spring Valley, Tecate, North County, Valley Center, Vista, and Warner Springs. We serve the following cities and zip codes throughout North County, La Jolla: 92101, 92102, 92103, 92104, 92105, 92106, 92107, 92108, 92109, 92110, 92111, 92112, 92113, 92114, 92115, 92116, 92117, 92119, 92120, 92121, 92122, 92123, 92124, 92126, 92127, 92128, 92129, 92130, 92131, 92132, 92133, 92134, 92135, 92136, 92137, 92138, 92139, 92140, 92142, 92145, 92147, 92149, 92150, 92152, 92153, 92154, 92155, 92158, 92159, 92160, 92161, 92162, 92163, 92164, 92165, 92166, 92167, 92168, 92169, 92170, 92171, 92172, 92174, 92175, 92176, 92177, 92179, 92182, 92184, 92186, 92187, 92190, 92191, 92192, 92193, 92194, 92195, 92196, 92197, 92198, 92199. Raising A Service Dog Puppy! This video is week 1-3! Are you guys ready for the big day? You should be! 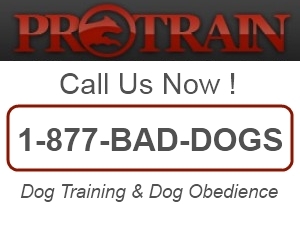 There is only a week to go before the ProTrain’s group dog training in San Diego. This event entitled “The Doggy Wisdom Workshop: Behavior Modification Dog Trainer 101” is happening on February 17, 2018 (Saturday), which will give you a rare opportunity to experience a top-notch training program from one of the finest dog trainers in the country – Mark “Dogman” Castillero. So, mark your calendar now before you miss it. In this event, Mark “Dogman” Castillero, animal behaviorist, author, one of the founders of the California Kennel Association, and the Director of Training for Pro-Train since 1978, will cover the basics of how to become a dog trainer. And, if you are a dog owner who wants to learn more about dog training, this workshop is also for you. OPTIONAL: Evening BBQ/Mixer at Pro-Train in Vista for any enrollment in a program. To apply for your dog to attend with you, please contact Mark directly at protraindog@gmail.com. Indicate the type of dog and the issue that needs to be corrected in your email. Again, this your chance to meet dog training expert, animal behaviorist and author Mark “Dogman” Castillero in a rare one-day-only dog training workshop in San Diego, CA. If there’s a problem with the ticket page or if you have more questions about this group dog training in San Diego, don’t hesitate to contact us at (760) 749-0897. People say that there’s more than enough love to go around when you have a dog and a child in the same home. This has been proven time and again by people who raise dogs and children at the same time. The kids and the dogs grow up together and become inseparable for the rest of their lives. It’s a bond that is not easily broken, even when the child moves away to college or in the sad event of the dog’s death. A dog is a fiercely loyal friend that can be counted on in times of need. As the child grows up, there will be days that he will be lonely or sad especially when his parents are not there with him. Having a dog would help him cope with the pressures and confusing time of adolescence as well as help him become more physically active. Dogs are playful and prefer to be outside all the time. This will keep the child on his toes instead of being sedentary and focused on his computer or mobile phone all the time. Apart from these, a dog will also provide security not just for the child, but for the entire home. Nothing beats the alert senses of a dog when it comes to guarding your house against burglars and thieves. This infographic lists down the benefits of having a dog help raise your kids and why it is truly beneficial for them to grow up with one inside the house.